Here's The Deal...these homes are bank owned and they want them SOLD immediately. They are offering amazing incentives to Knox County home buyers in exchange for a quick sale. To learn more about these homes and other Knox County OH real estate, please call me at 740-397-7800 or visit SamMiller.net. Sam Speaks at CRS in Hawaii! Aloha! I am back from Hawaii, where I was honored to co-present the opening session of the Council of Residential Specialists’ Sell-A-Bration with Howard Brinton. I also was a featured panelist for a session on technology specialization; we discussed and explained today's latest and greatest real estate technologies such as hardware, software, websites, digital social networking, and advanced digital technologies including video and virtual tours. I believe that all in attendance learned a great deal at this event and, of course, a good time was had by all! I would love to put my put my expertise in residential real estate to work for you; if you are looking for the perfect Knox County OH property to call home, please call me at 740-397-7800 or visit SamMiller.net. As you have probably seen in the news this week, the Fed has recently cut interest rates again, bringing rates to the lowest they have been since 2005. 15-year fixed mortgages dropped to 5.21 percent from 5.43 percent a week ago. 5-year adjustable-rate average decreased to 5.4 percent from 5.63 percent. 1-year ARMs fell to 5.26 percent from 5.37 percent.. Observers generally agree that borrowing costs will remain at or near 6 percent for 2008 unless a U.S. recession surfaces—in which case they expect rates to decline further. To learn more about Knox County OH real estate, please call me at 740-397-7800 or visit SamMiller.net. Should You Fix It – Or Forget It? If you made a new year’s resolution to finally get around to those fix-up projects around the house, you may quickly find yourself overwhelmed – and under-funded – if you try to tackle everything at once. Ask for advice. Talk with a local, experienced Realtor who can help you gauge your home’s current value. Before you go pouring money into a remodeling project, it is valuable to know where your home currently stands and what you stand to gain by making improvements. To request a complimentary market analysis of your Knox County OH home, please click here. Dig deeper. Considering getting a home inspection before you remodel or put your home on the market. This will give you a very clear idea of where you need to focus your fix-up efforts. Look outside. Pay attention to the condition of the exterior of your home – including the siding and windows. Sure, you may want to put all of your money into those new hardwood floors, but structural repairs should always be the first priority. Spend time in the bathroom. Even small upgrades to a bathroom – new hardware or fixtures – can give it a whole new feel. If you are thinking of selling your home this year, remember that buyers want to see a bathroom that can be used right away and is not in need of major repair. Keep it small in the kitchen. We’ve all heard that “the kitchen sells the home,” but remember that, if you are planning on selling your house, every buyer has their own taste in the kitchen, so it is best to keep things neutral and let the buyer customize it as they wish. If you are planning to buy or sell a home in 2008, please call me at 740-397-7800 or visit SamMiller.net to learn more about Knox County OH real estate. The National Association of Realtors has published its predictions for the 2008 housing market, and the data looks positive so far. Most noteworthy is the trend toward improving existing home sales. To find out the latest trends in Knox County OH real estate, please call me at 740-397-7800 or visit SamMiller.net. To begin searching for Knox County OH homes, please use my complimentary MLS search. Best wishes for a very happy and prosperous 2008! 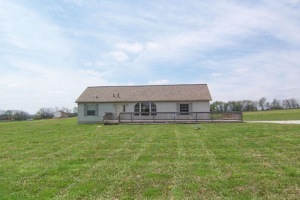 For more information about Knox County OH real estate, please visit SamMiller.net or call me at 740-397-7800. To begin searching for Knox County OH homes, please use my complimentary MLS search! As we move into a new year, we will keep a close eye on the Knox County area market trends to see how prices affect sales volume. Since the market changes month to month and neighborhood to area, please contact me at 740-397-7800 or visit SamMiller.net to get the latest information on Knox County OH real estate. To receive a complimentary home value analysis, please click here. Happy new year - see you in 2008! Many homeowners have heard of a “1031 Exchange,” but few understand the basics of what an exchange actually entails. Today I want to cover just a few of the basics of the process, as it can be an invaluable method of homeownership for investment homeowners. 1. The total purchase price of the replacement "like kind" property must be equal to, or greater than the total net sales price of the relinquished, real estate, property. 2. All the equity received from the sale, of the relinquished real estate property, must be used to acquire the replacement, "like kind" property. Exchange period – the period during which the seller of the relinquished property must receive the replacement property. This period ends exactly 180 days after the date on which the person transfers the property relinquished or the due date for the person's tax return for that taxable year in which the transfer of the relinquished property has occurred, whichever situation is earlier. If you want to learn more about strategies for buying and selling investment properties, or are interested in Knox County OH real estate, please call me at 740-397-7800 or visit SamMiller.net. To get started searching for Knox County OH real estate, please use my complimentary MLS search. · Use LED lights – using LED lights to decorate the inside and outside of your home will bring you many benefits. The lights last a whopping 50,000 hours – that means you could actually pass these lights down to your grandchildren some day! Adding to their cost effectiveness is the fact that you will be using 90% less energy with LED bulbs – Clark Griswald would be jealous. LED lights are also safer – they don’t produce as much heat and considerably reduce the risk of fire, always a concern during the holiday season. 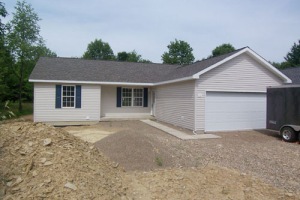 To learn more about Knox County OH real estate, please visit SamMiller.net or call me at 740-397-7800. To receive a complimentary home value analysis, please click here. Although the real estate market is still down in many areas, you may find yourself in a situation such as a job relocation that will force you to sell your home or purchase a new one. Sell smart – if you are trying to sell your home, you must set a realistic price based on the current market. You should also discuss with your Realtor the current average “days on market” that most properties are taking to sell. This will help you better plan for your move. If you are not willing to list for the current market value, and you do not want your house to be on the market for long, consider waiting out this down market as it is likely to turn around soon. Spend wisely – try to follow the rule of thumb of spending no more than 20% of your home’s value on renovations. At a time when your home may be worth less than it was this time last year, this is not the time to be sinking money into it. Foreclosures are still your problem – remember that, even though you are not facing foreclosure, the other properties in your neighborhood that are foreclosed upon will decrease your home’s value. As a general rule, for every home that goes into foreclosure in your neighborhood, your property value drops about 1%. That value will stay depressed for about two years. To find out where the foreclosures are in your area, go to realtytrak.com or foreclosurenet.net and type in your zip code. Recheck your mortgage – many homeowners do not know what kind of mortgage they have. If you are one of them, pull out your old closing documents and find out how often you're rate will increase and what caps there are to how much that increase can be. This information should be on the Adjustable Rate Rider, among the first few pages in your documents. Remember, the Knox County real estate market is always changing from month to month and neighborhood to neighborhood. To find out what your home is worth, click here for a complimentary market analysis. 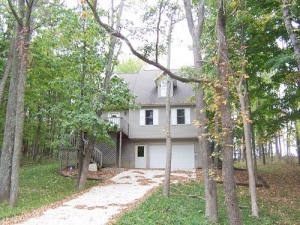 You may also visit SamMiller.net to learn more about Knox County OH real estate, or call me at 740-397-7800.